1. Soak rice in water for a few hours, then drain the water and grind rice into a smooth paste. 2. In a non-stick saucepan, boil milk. After it comes to a boil, reduce the heat to simmer. 3. 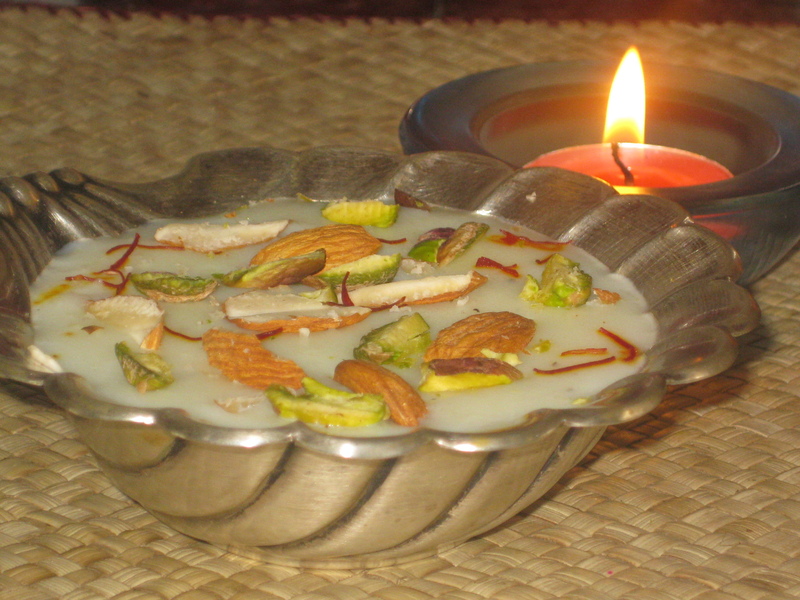 Over a moderately low heat, add rice, sugar and cardamom to the milk and stir constantly, till it turns thick. 4. Remove from heat and add almonds. Put in serving bowl and let it come down to room temperature. Now, put in the fridge and chill.